Loki Among the Violets Notes: Nikon D5000, Nikkor 18-52mm lens, close up setting. This is a one-in-a-million photo. 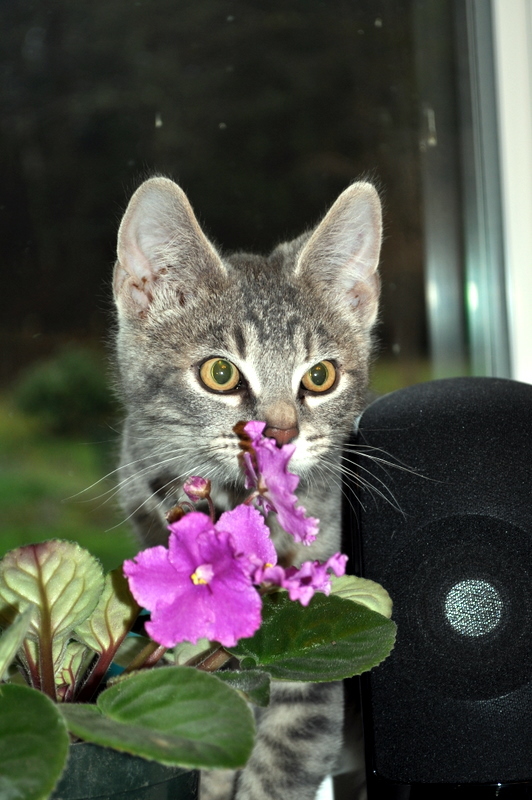 A second later, Loki was eating that violet.